1pc x organizer bag(electronic accessories are not included). With 2 zipper pullers. Detail Image. Lightweight to carry it out, best for travel. Features: 10 pieces S shape hooks for hanging anything you want. Made of rust-resistant Stainless Steel material ensuring a great appearance and long durability. Perfect for pot-racks and ceiling dryers. 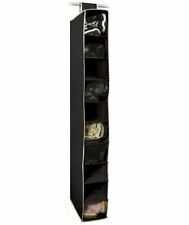 Instant storage for hanging anything in your kitchen, closet, workshop or garage. Hook ends are flat, not pointed, for added safety. 10pcs x Key hook with Screws(Not included others!). Type: Key hooks. Available place: Bedroom,Bathroom,Children's Playroom,etc. Color: As picture shows. USA, Canada, United Kingdom, Austrilia, France, Germany, Spain, Ireland, Italy, Others. We will try our best to provide better service for you. We will solve the problem for you. Color: Clear. Material: Plastic. Due to the light and screen difference, the item's color may be slightly different from the pictures. 2PC Stainless Steel Kitchen Cabinet Draw Over Door Hook Clothes Hanger Holder. 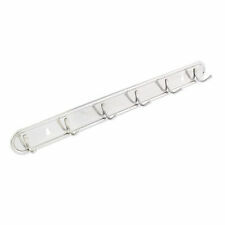 Very beautiful stick hook, delicate and elegant, also help you to receive small objects can dress up your bedroom. Color: Silver. 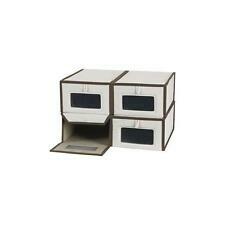 1 x Flip Storage Box Case Organizer(other accessories demo in the picture is not included.). Compact & lightweight. Color: Silver. Size:8 3.8 2.0cm. It can be used for storing all sorts of fun collectables. Description: Brand new and high quality. Compact design and easy to carry. The Grid inside the box can be moved. Empty storage case box for nail art Jewelry Earring. 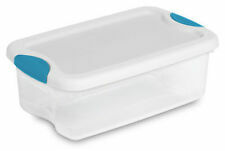 Perfect for storing earrings, rings, beads and other mini goods. There are 10 separate rooms for storage This small storage box makes storing easier and you can reach the things simpler and quicker. Material: Plastic Color: Transparent Size:6.5*12.5*2.4cm Package Included: 1 x 10 Grids Plastic Box. 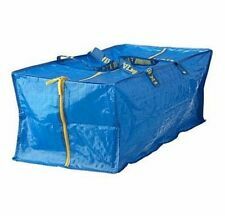 IKEA DIMPA clear Reusable Shopping STORAGE BAG. Heavy duty with zipper. Hailo Combi Vario-Single Auszugschale 30 cm US Schrankauszug Auszugkorb AluLine.